Home / Blog / How do leaf guards work? Stop suffering from poorly-designed leaf guards. Sydney’s reliable leaf guard is the Easy Fall Leaf and Ember Guard system. Protect your gutters and invest in a reliable leaf guard Sydney product today. For more information about how our the Easy Fall Guttering system works, call us on 1800 897 444 and request a free quote today. Have you experienced a buildup of leaves and dirt in your gutters? If you are living in a place surrounded by a lot of trees and vegetation, there is a high chance that fallen leaves and even small animals and insects create a clog in your gutters. Cleaning clogged gutters is a year-long maintenance session but fortunately, you can minimise the hassle by using leaf guards. Leaf guards are attachments that are placed on your gutter to protect them from leaf and debris build up. They are usually made with different materials including steel, aluminium, nylon and plastic. That said, there is no foolproof protection against all the leaves, dirt and debris that may clog your gutters. 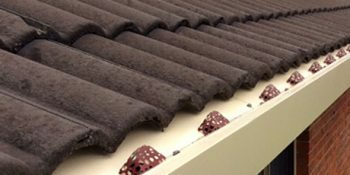 If you think leaf guards are your ticket to never cleaning your gutter ever, then you may be mistaken on how leaf guards work. 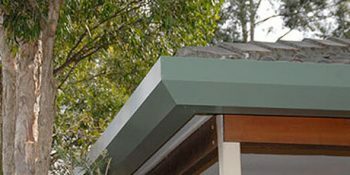 How do leaf guard gutters work? Leaf guards work by letting rainwater in while keeping leaves and other debris out. There are several types of leaf guards, each with their own method of performing this function. Here are the types of leaf guards based on their function. This type of leaf guards uses a metal or plastic screen that is fitted on top of an existing gutter. It works by letting rainwater pass through holes of the screen while leaving leaves and debris remain on top of it. In terms of maintenance, leaves remain on top of the screen and must be removed regularly. Depending on the size of the holes, some smaller debris may still pass through. Aluminium and PVC screens, as well as micro mesh screens, fall under this category. This category of leaf guards use foam or brush stuffed in your gutters to block leaves from entering your gutters. The idea is to block the gutter with a porous material before it gets blocked by something else that clogs it fully. This porous material will let rainwater through while keeping debris on top of it. Get a reliable leaf guard for your gutter today. Install Sydney’s number one leaf guard, the Easy Fall Leaf & Ember Guard System. 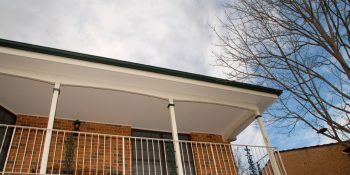 For Guttering Sydney supplies and more information about our leaf guard gutters system, call us on 1800 897 444 and request a free quote today.